Three ideas for special matinee-and-a-meal afternoons with your children from WSWD’s founder, Arielle Tepper Madover. For a Broadway producer whose office is actually on Broadway, I don’t get to spend as much time enjoying “Broadway” as I’d like. So every once in a while, I plan a full day of theater and Times Square fun with my kids. Introducing Izzy, 16, Jonah, 10, and Sasha, 8, to live theater is important to me, and it’s also just so much fun to watch a show through their eyes. Matinees are my favorite way to do it; the adults at afternoon performances aren’t as fussy (there’s much less “shushing”) and the kids aren’t as tired. Plus, winter is prime matinee season. In my opinion, cold and/or rainy days are made for theater; inside, you can cozy up with your kids and forget all about the bad weather outside. 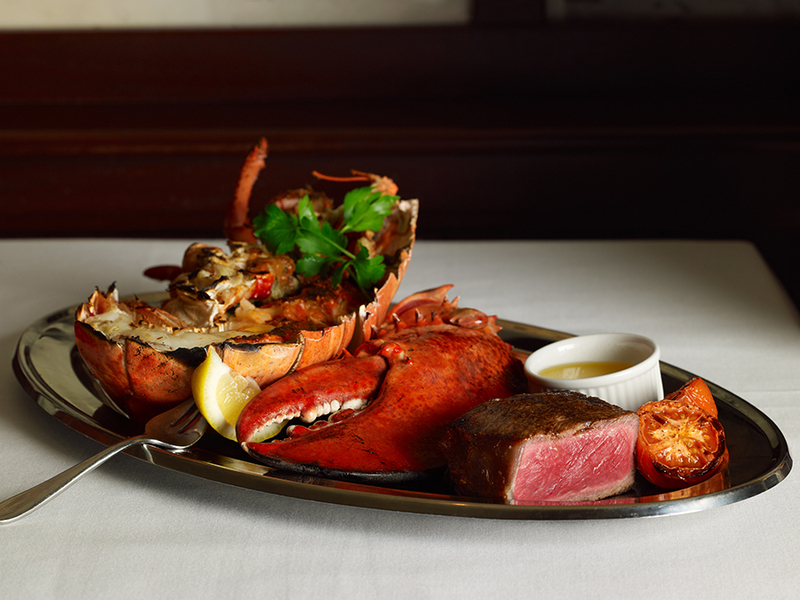 We go for a fun lunch beforehand, and the afternoon becomes an incredible memory. Our experience advisers can recommend restaurants and shows—SpongeBob SquarePants, Wicked, Hamilton, Dear Evan Hansen, and Come From Away are great options, depending on the age of your kids—and book your reservations and tickets. If the forecast calls for freezing temps or rain, get in touch! We know how to secure affordable, last-minute tickets as well. This past year, my kids and I shared three really special lunch-and-a-show days. Hope they inspire you to do the same! 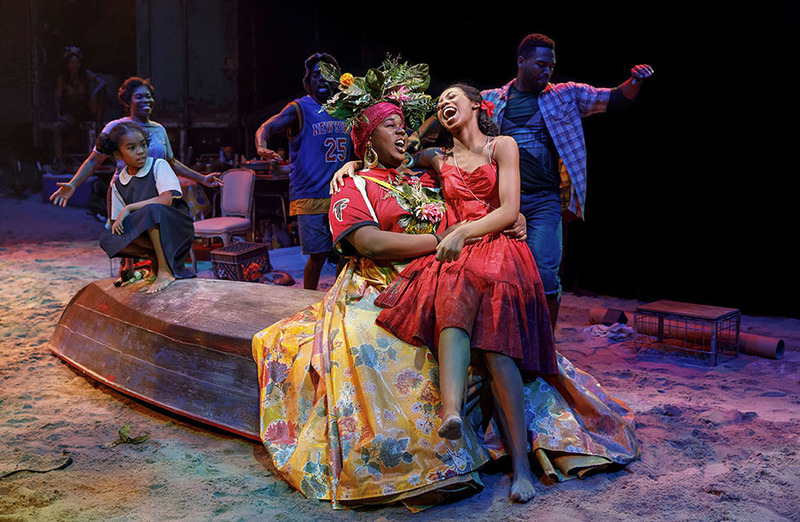 After lunch, we headed to the Circle in the Square Theatre to see Julie’s favorite show, Once on This Island a musical about love and cultural differences in the Caribbean, starring the incredible Lea Salonga. The fact that my kids can just take the subway or a taxi to see the best performers and storytellers in the world is part of why I’ve never left New York City (and never will!). Though it’s not Broadway, Blue Man Group is such an iconic NYC show that it has a place among some of the biggest Broadway musicals and plays as a must-see for all New Yorkers—especially kids! 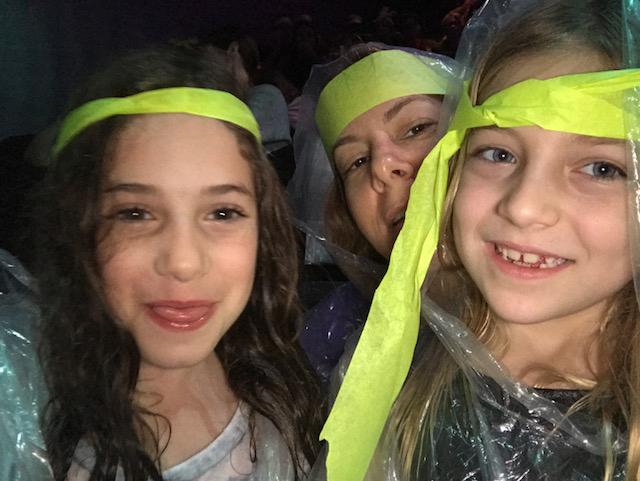 It was pouring the day I took Jonah and Sasha (and another family friend) to see it, but we sat in the first few rows—which I suggest you do, too—and needed to wear ponchos anyway! In the Poncho Zone, you’re sprayed with water, mist, nontoxic paint, and glitter. This is definitely not a stuffy theater experience, and my kids loved it. Their favorite part was the big “toilet paper” finale. Beforehand, we had lunch at Gemma, a warm and intimate trattoria inside the Bowery Hotel, only a few blocks away—also a perfect pick for a less-than-perfect weather day. My son raved about the hamburger, and there are plenty of pastas and pizzas on the menu to keep picky eaters happy. Or skip the mains entirely and go straight for the tiramisu, gelato, and Nutella-filled calzones. Major kid points! The Disney blockbuster Frozen has its Broadway debut in February, but I got a lucky chance to see it this past summer in Denver. The show’s director, Michael Grandage, and his husband, Christopher Oram, the set and costume designer, are very good friends of mine from years of working together. The three of us have collaborated on many shows (Frost/Nixon, Hamlet, Red, and They Are Good Friends, to name a few), so I wanted to support them…and, OK, treat my daughter to a sneak peek of the theatrical version of my and (maybe) her favorite musical movie. We absolutely adored it and can’t wait to see it again in NYC. Yes, it will return you to the days of 2013 when the kids in your house (and me, too) sang “Let It Go” all day, every day, but it’s so worth it—and it was worth the trip to Colorado, too, as we got to start exploring for a WSWD Colorado! 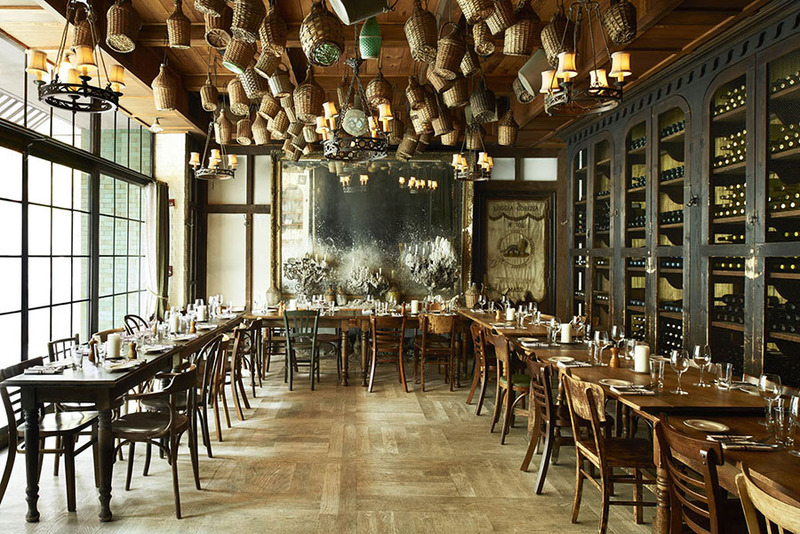 When it arrives at the St. James Theatre on Broadway, we are planning to take the whole family and eat lunch before the show at Limani, a dazzling Greek-Mediterranean restaurant in Rockefeller Plaza. We all love Greek food (the kids order saganaki every time), and this is one of our favorite spots. 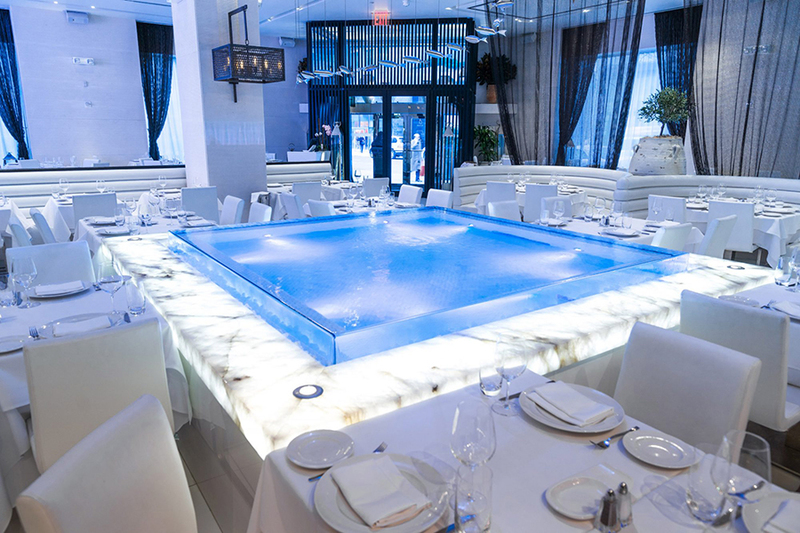 Plus, the sleek all-white space, anchored by a gorgeous cerulean reflecting pool, feels otherworldly; it’s a bit like dining in one of Elsa’s icy palaces. Ready to do life well? We can customize the perfect live-it-up day for you and the kids.